Unfortunately today, many of the legacy saltwater disposal companies we work with at BuySWD.com are running blind. They assume their traditional facility design is operating at peak performance. Some operators do not “engineer” their facility and simply set up a few gun-barrels, pumps, filter pots and some transfer tanks and voila….they’re in business. This “old school” methodology is no longer effective in today’s high-volume environment. Thanks to the advances in horizontal drilling, the old way of doing things is causing operators to lose tens of millions in potential oil sales. Most operators I talk to will tell me they are capturing 100% of the oil before going downhole. The truth is, I have no idea how much oil they are losing nor do they and that’s a critical mistake. SWD operators should be testing their water for hydrocarbons prior to injection and should make changes to their system in order to capture every drop they can. 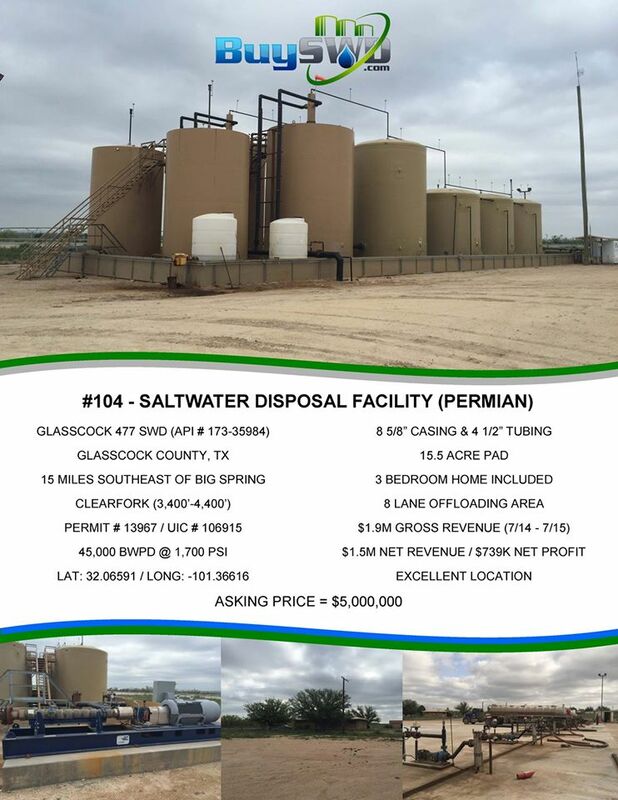 The simple fact is this….if a saltwater disposal facility is receiving 10,000 bbls/day in produced and flowback water, standard gun-barrels are not 100% effective. When you have large volumes of fluid being constantly introduced into an SWD system, oil droplets are being trapped in suspension and need settling time to coalesce in order for the GB’s to be effective. Once the water leaves the gun-barrel, it’s going downhole and lost forever. Companies like Elite Infrastructure realize how significant this lost revenue can be over an extended period of time. 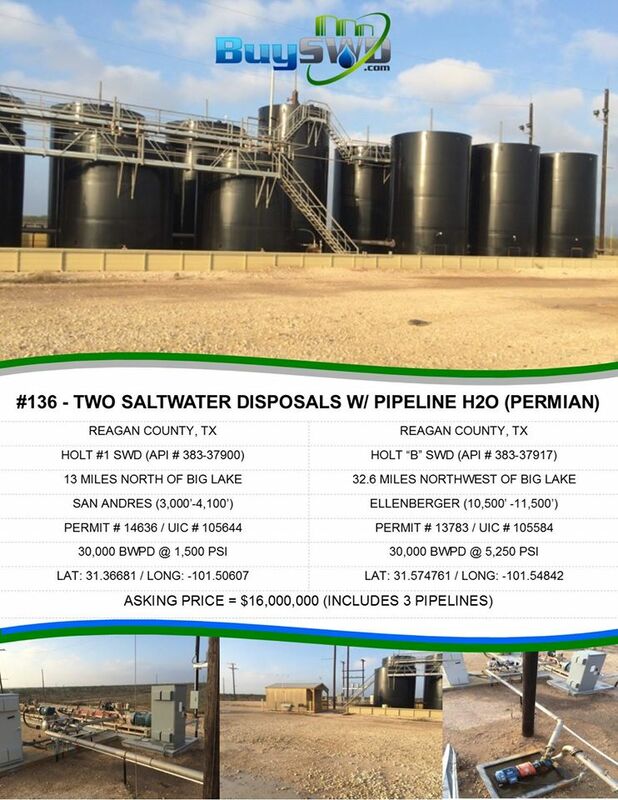 If a facility receiving 10,000 bbls/day can increase their skim oil by 0.1% this could add $144,000 in annual revenue. That equates to $1.4MM+ over a 10-year period. Elite’s SWD design allows for secondary capture and makes sure the operator can collect any oil that may have bypassed the gun-barrels. Main 5k/10k/20k storage tanks are equipped with guided wave radar systems and tie-back to the gun-barrels. Although Elite’s design may cost a little more than the “old school” setup, it will more than pay for itself over the course of operations and bring a much higher sale price on exit. Prospective buyers will recognize the system advantages and will happy to pay a premium for a superior product. For more information on how to maximize your facility performance and capture lost revenue contact us today and we’ll be happy to help. For starters, customer surveys are always a good way to identify areas of improvement. Disposal operators should want to know where they are falling short or how they can make improvements for their valued customers. Whether it involves increasing the number of offloading lanes to reduce wait times, covering the offloading bay to prevent sun/rain exposure or perhaps adding cooling fans may also be cost effective ways to make your customers a little more comfortable during offloading and put your facility a step above your competitors. Taking care of customers is critical and the only way to accomplish that goal is by listening to their needs. When looking at bottom lines, investors pay close attention to operating expenses. Many of the facilities in existence today are hemorrhaging cash because of inefficiencies which stem from poor design and equipment selection. Great facilities are engineered from top to bottom with special emphasis on keeping costs low while simultaneously maximizing injection capacity. It may be advantageous to consult with disposal experts to better understand where your facility may be losing money and what improvements can be made system wide to increase profitability. Transportation is the lifeblood of a disposal. Truck drivers like to eat and there are many disposal operators who do not provide drivers with free snacks and drinks. This practice is one which should be considered at every manned facility. Un-manned facilities might want to incorporate a vending machine at minimum. Some operators refuse to spend money taking care of their customers all in the name of driving profits, but in reality, that approach only hurts operators bottom-lines. We are not suggesting you serve surf and turf, but consider burritos and sandwiches, which cost as little as $1 to $2 per serving. Of course you will need to make sure each driver is limited to one or two per day because you sure can’t afford to feed an entire family every day of the week. Try Sysco Foods or another distributor for some inexpensive “grab and go” items for a few months and measure the results. In years past, prize drawings and giveaways have provided an exciting way to increase truck traffic. Drivers were issued tickets for each load delivered. Weekly or monthly drawings were held and prizes awarded further increasing customer loyalty. Many E&P companies now prohibit such activity and have special clauses included in their MSA’s preventing such activity so be sure to check with your area operators to see if this practice is prohibited or not. Many SWD facilities turn away loads with high levels of frac gels. Instead of losing revenue, consider purchasing gel-breaking enzymes and treat in traditional mud tanks with agitators prior to sending the fluids into a gun barrel for processing. There are many chemical companies that provide such breakers and have proven performance in not only breaking down gels but also preventing future downhole problems from re-crosslinking. 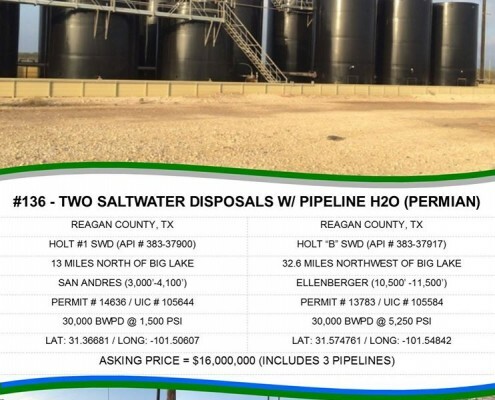 The chemical cost to treat 130 barrel tank can range from $25 to $150 and operators can charge as much as $4 per barrel to dispose of water with high gel concentrations, ultimately creating a profit of up to $350 per truck. 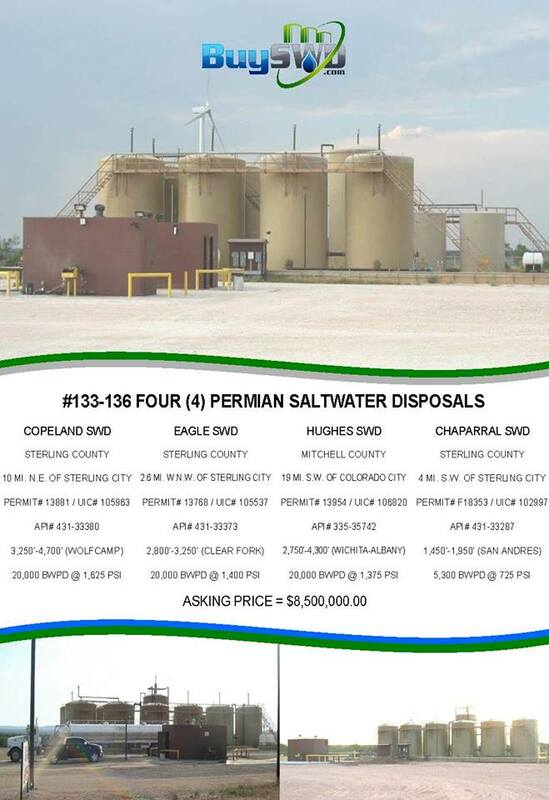 Factoring 10 loads per week, a disposal site could potentially generate an additional $170,000 per year in revenue. 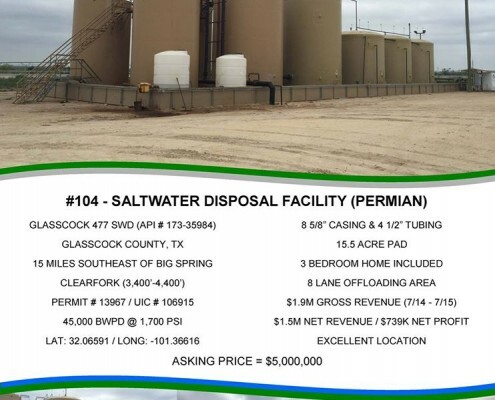 Another way disposal operators can increase revenue and the value of their facility is by accepting spent drilling fluids. In many plays, mud disposal is limited to a handful of locations. Landfills have traditionally been the primary place for disposal, but nowadays, more and more mud reclamation plants and stationary treatment facilities are coming online in order to handle the large volumes of solids arising from continued development activity. Separating solids from drilling fluids doesn’t take a rocket scientist, but it does require some level of expert assistance. There may be additional permitting requirements depending on state regulations in addition to the physical plant modifications. Operators may only need to incorporate a single stage, such as a shaker and screens, without having to include a centrifuge or cyclone type de-sander. Additionally, thermal driers or other big ticket items can drive costs way up and may not be necessary. Slurry injection has been a common method of disposal for decades, but operators should not only understand their local market but also consult a geologist to make sure the injection formation is a suitable candidate prior to making any decisions. Make sure you have a cost- effective plan for handling the solids. Some companies may opt to treat with chemicals or blend with other materials for use as a base material for roads or pad preparation. Others may elect to simply haul to the nearest landfill or land-farm for disposal. Trucking companies haul a variety of waste materials for disposal, including drilling fluids, produced/flowback/fresh water, wash water, tank/pit bottoms and more. The cleaning of vacuum truck tanks and frac tanks is a continual process in the oil patch. By incorporating a washout bay or multi- bay facility, disposal operators can capture additional revenue, in most cases, very cost effectively. There are many low- and high-tech options to consider when evaluating the potential implementation of a washout. In order to truly separate your facility from competitors, it may be necessary to think way outside the box. One idea that has yet to be implemented is adding a lane strictly for fuel. Most trucking companies either refill their trucks at local fueling stations or back at their yard. Often, drivers have to drive an extra 30 miles or more just to fuel up during their shift. Time is money in the business of hauling and providing drivers with the ability to receive discounts on fuel based on disposal volumes could be just the solution needed to save your customers both time and money, and prevent them from driving right down the road to the next disposal. 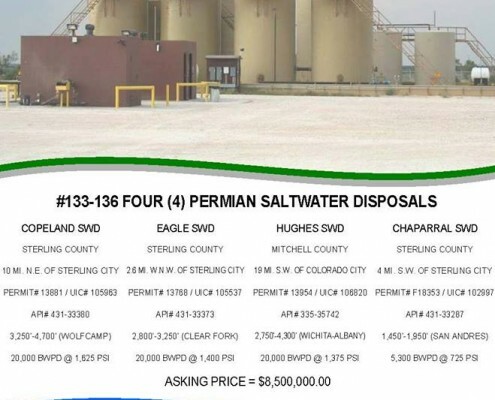 Nowadays, more and more E&P companies conduct site inspections for liability purposes and not every disposal facility ends up on their “Approved” list, which means drivers have restrictions placed on which disposals they are allowed to haul to. Most facilities are excluded due to poor operations or sub- par facilities, which include oil on the ground, high injection pressure, containment issues and limited capacity. These types of issues are vital to a disposals success and should be addressed promptly. Measures should be taken to further prevent such occurrences if possible. The ideas above are merely suggestions. The goal of this article is to encourage disposal operators to explore ideas which might increase revenue, customer loyalty, asset value and potential salability during these challenging times. Disposal operators need to pay attention to the costs associated with each improvement and make sure the potential returns are worthwhile. Kurt Knewitz is the President of BuySWD.com. 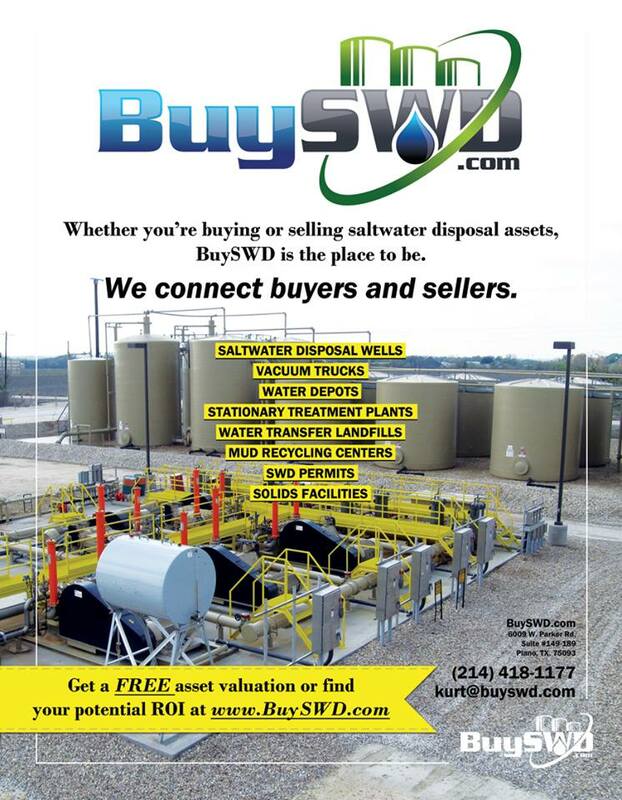 For more information visit www.BuySWD.com or via email to Kurt@BuySWD.com.